Asking your bests to take a place of honor at your wedding might sound simple enough BUT if your loving groom puts so much thought into popping your question, why not do the same for your girls? It can be a lot of fun and absolutely builds the excitement from a mere question to embarking on an adventure! 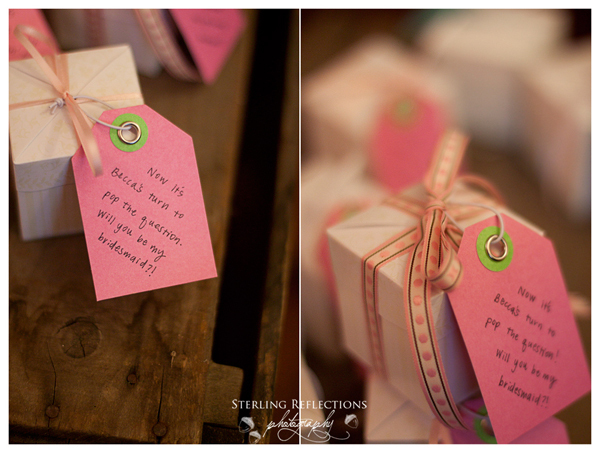 Consider this entertaining way to pop the question – wouldn’t you love to have this show up in your inbox? 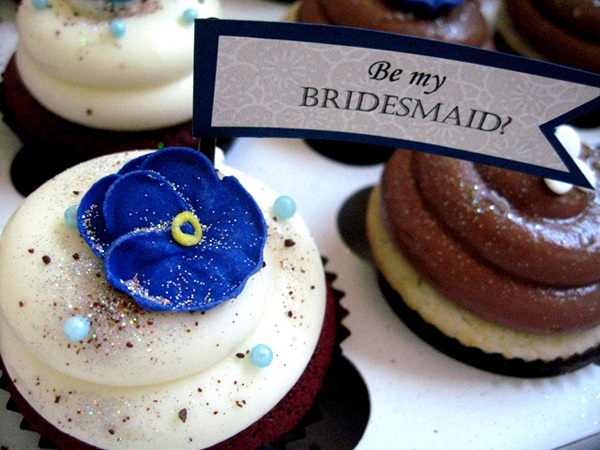 Create a fun and yummy-licious presentation with tiny banners that read “Will you be my bridesmaid?” and place your little banner of joy in their favorite flavored cupcake. Have a friend who loves accessories? Find a fantastic headband and attach a little note that reads “Will you head down the aisle with me?” (or perhaps “I need help keeping my head on straight! ), or pick out a lovely little hat box and fill it with ring pops – yes, those ring pops! – and ask away! 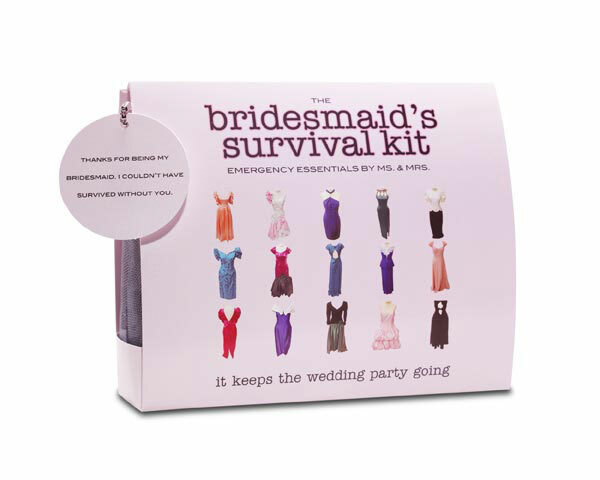 Create a Bridesmaid’s Survivor Kit by filling a pretty box with a compact mirror and lip gloss, measuring tape (for her bridesmaids dress), her favorite candy or gum, Tylenol (for all the headaches you are bound to cause! ), travel sized fingernail files, bobby pins and other fun goodies or you can purchase one of these lovelies from My Wedding Favors. Something catchy like “How can I survive without you?” is a sweet way to tag this gift! Whatever you do and however you ask, I’m sure your ladies will be ecstatic at your invitation and will happily say yes (just like you! ).